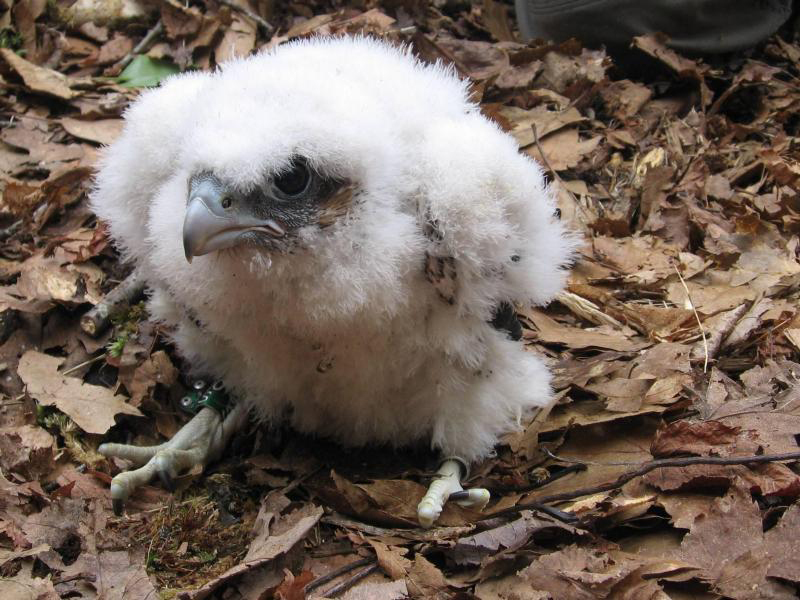 A peregrine falcon chick.  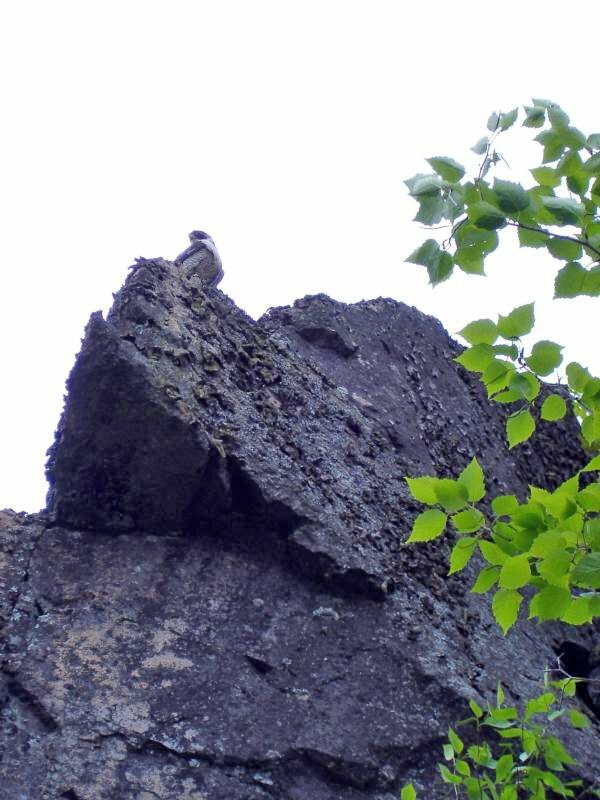 After fledging it will hunt and feed primarily on other birds, such as songbirds, shorebirds, ducks. 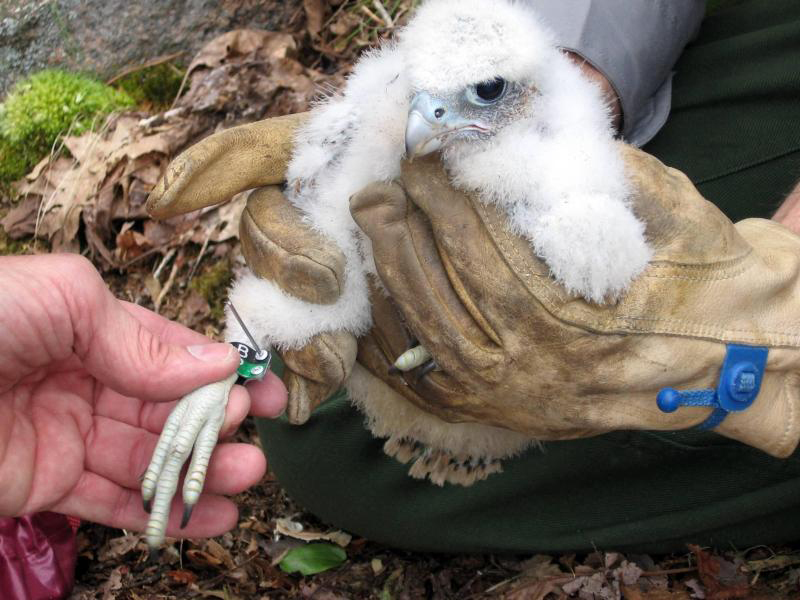 A peregrine chick is banded by an Acadia wildlife biologist. 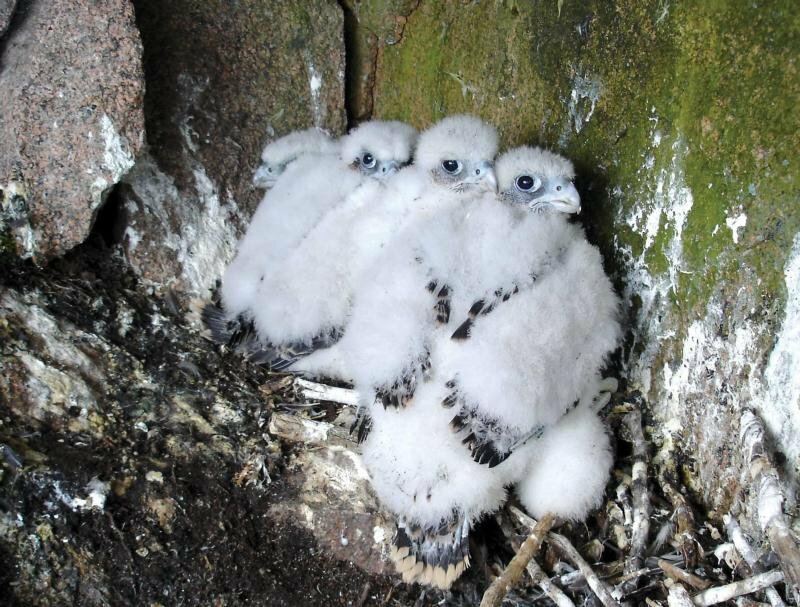 Peregrine falcon chicks nesting at Acadia National Park.